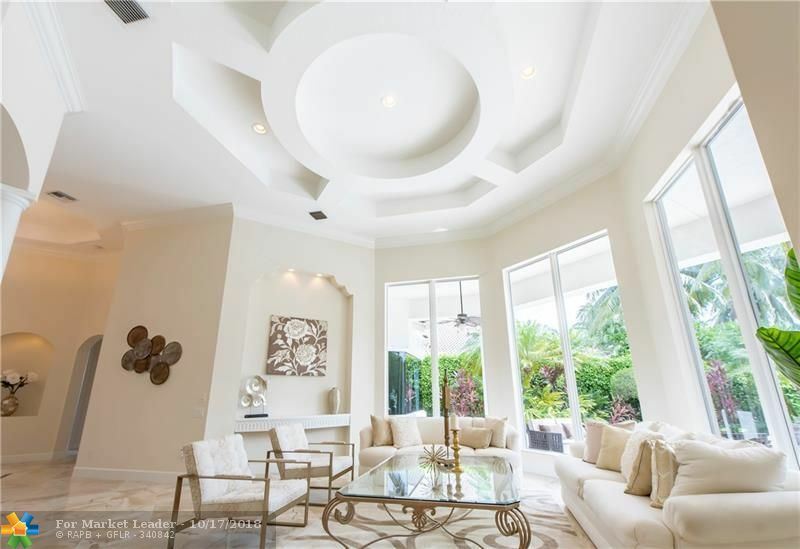 Modern estate in the highly sought-after area of Plantation Acres. This two story, 7 bedroom, 7 bathroom, 4 car garage home boasts a wine room, gourmet kitchen with Thermador appliances and modern cabinetry, two gas tank less water heaters, wired throughout for Smart Home capability, engineered wood flooring in media room and all bedrooms and many other upgrades. Perfect for entertaining, this property features a covered terrace with summer kitchen, a large yard with pool and spa, and a theatre room. PARAGON HOMES new custom designed estate on cul de sac in Plantation Acres. A transitional modern look with every modern finish inside. 4 car garages with stacking features. Home features 7 bedroom 7 1/2 baths, den, guest apartment, plus loft rec room 21x12. on 1 acre. An inviting covered patio of 17x32 overlooks a remarkable 20 x52 custom pool and spa plus summer kitchen Porcelain floors throughout home. Finished custom new construction home. 6 bed/ 6.5 bath, den, loft & guest house on an acre. Impact windows & doors w/custom solid wood front door. 3 car garage w/ lift capabilities. Smart Home System w/4 outside cameras controlled by mobile device. Lux master bedroom and bath overlooks estate pool and patio. Gourmet kitchen w/ Thermador Appliances-Solid wood cabinets and Quartz tops. 24x 48 porcelain tile throughout common area w/wood floors in bedrooms. Underground utilities. Map maybe incorrect. Prestigious gated community Hawks Landing located on cul-de-sac in prime "Inner Loop" location. Former showcase model. 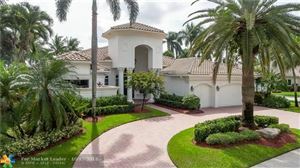 Upgrades galore, 6 bed/ 6 1/2 baths plus office & summer kitchen, covered patio, playroom/loft, vanishing edge pool overlooking wide water view, fireplace, imported marble, exotic harwoods. Impact glass. Custom lakefront estate in the heart of Hawks Landing! Contemporary in style that offers 4 bedrooms in the main house and 2 bedrooms in the guesthouse joined by covered breezeway overlooking fabulous patio and pool area! Sleek architectural styling with expansive courtyard entry! Italian porcelain floors through out main living area. Newly installed ebony hardwood floors in Master suite, and 2 secondary bedrooms. Perfect layout with hallways for those that would love to display their treasured artwork! Impact windows and doors, 3 car air-conditioned garage, full house generator! Amazing modern chef's kitchen with island overlooking family room. Designer lighting throughout, coffered ceilings! Summer kitchen and much more! 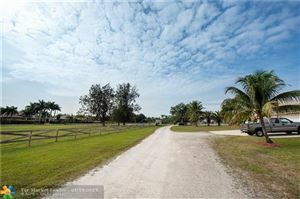 Wonderful opportunity for the equestrian in highly desired area of Plantation Acres. Whether you are seeking a property for your own horse farm or a business; both are equally suitable and situated on 4.7 acres. Farm features 14 stalls with electric and water, quarantine stall, office with -+ bath, 24x12 feed room is also used as hurricane shelter, 3 wash racks, roll down doors, 9 fenced paddocks and superior elevation sand arena. The 3/3 pool home is light and bright with an open floor plan, impact windows and oversized heated pool. ENDLESS opportunities for this property. PRIME LOCATION, AMONG SEVERAL NEW MULTI MILLION CONSTRUCTION DEVELOPMENTS- CAN ALSO BUILD UP TO 5 LUXURY HOMES, MORE INFO AT MLS#F10158328. 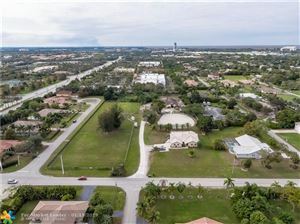 DONGÇÖT miss your chance to become a land owner and developer of this prime location in Plantation Acres nestled near other multimillion-dollar single family homes AND future brand-new construction across the street! 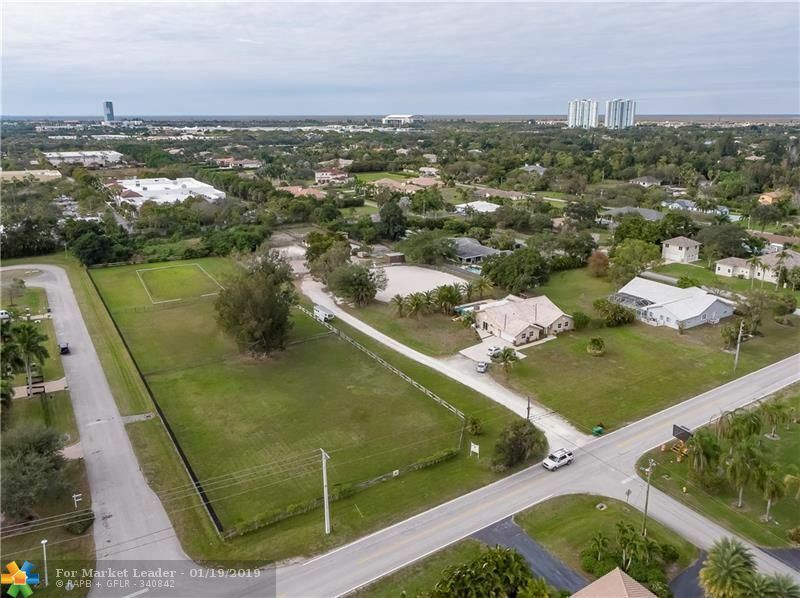 This is truly an unbelievable opportunity to develop 5 Luxury homes on one of the last big land parcels available in the Acres. The property consists of 3 folios that will all be sold together. 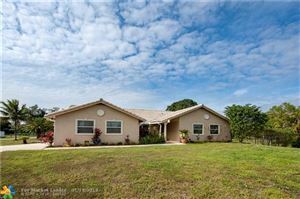 ADDDITIONALLY, PROPERTY HAS 3/3 SF HOME WITH POOL THAT CAN BE RENTED WHILE YOUR PROJECT IS DESIGNED, PRESENTED AND APPROVED BY THE CITY OF PLANTATION. Owner financing a possibility, terms and amount to be determined. SEE THIS PROPERTY TODAY AND BEGIN DEVELOPMENT ON GÇ£LAZY MEADOW ESTATESGÇ¥ GÇô make it the finest & most desirable community in the acres! MUST SEE THIS IMPRESSIVE CUSTOM 2-STORY HOME*BUILT IN 2007 AND READY FOR IMMEDIATE SALE*MORE PICTURES COMING SOON! NEWLY PAINTED INTERIOR AND EXTERIOR*JUST UNDER 4,700 SQ FT /AC*6 LARGE BEDROOMS AND 6 BATHS PLUS OFFICE PLUS HUGE LOFT *GOURMET KITCHEN WITH TOP-OF-THE-LINE APPLIANCES AND CENTER ISLAND *24" MARBLE FLOORS IN MAIN LIVING AREAS* IMPORTED WOOD FLOORING ON STAIRS AND IN LOFT*GRAND MASTER SUITE WITH MARBLE BATH, WALK AROUND ROMAN SHOWER AND BUILT IN CLOSET SYSTEMS*ALL SECONDARY BATHS ARE MARBLE*HURRICANE IMPACT GLASS THROUGH OUT *UPGRADED LANDSCAPE PACKAGE* HEATED VANISHING EDGE POOL WITH SPA OVERLOOKS LAKE AND FOUNTAIN*BUILT IN BBQ AREA W FRIDGE*CIRCULAR DRIVE*QUIET CUL-DE-SAC STREET*COME LIVE THE LIFE AT THE HAWKS LANDING CLUB - TENNIS - FITNESS - SWIM - & MUCH MORE!! This home has a 2 bedroom 2 bath guest house with living room and kitchenette in the rear of the home. Home sits on 1.25 acres. The main house has 5 bedrooms 4 1/2 baths, pool with huge patio off family room for great poolside entertainment. Enter in the court yard with a beautiful fountain for great private entertaining and 2nd guest house in the front (1 bedroom 1 bath). Plenty of privacy for everyone. Huge circular driveway with 3 car garage. (house is fully wired for a full house generator. )High impact windows and doors throughout house and Safe room with additional shutters for added safety. Meticulously maintained 5 bedroom 4 bath corner lot home in Plantation Acres. A builders acre lot with luscious landscaping creating a private oasis. Fully gated home creates a marvelous grand entrance from the street with plenty of parking and a 3 car garage. Impressive backyard w/covered patio area for those enjoyable summer pool party weekends! Owner/builder took pride in the best upgrades: 8 camera system, custom stone flooring, impact windows, oversized crown molding, custom tray ceilings and more! BRAND NEW 1-STORY CONTEMPORARY MASTERPIECE ON LUSHLY LANDSCAPED PRIVATE CUL DE SAC LOT*5 BEDROOMS/4 BATHS *IMPORTED WHITE MARBLE THRU-OUT ENTIRE HOME*IMPACT GLASS*WHITE EUROPEAN STYLE CHEF'S KITCHEN W/ PROFESSIONAL SS APPLIANCES, CENTER ISLAND, & QUARTZ COUNTERS*DRAMATIC MASTER SUITE & BATH W/ FREE STANDING AIR TUB*ALL CLOSETS BUILT-IN*MARBLE CIRCULAR DRIVEWAY*OUTDOOR SUMMER KITCHEN W/ MOTORIZED AWNING*SPECTACULAR HEATED SALT POOL W/ WATERFALL & VANISHING EDGE SPA & MARBLE PATIO*MUST SEE AS OVER THE TOP! Located in the highly secured and sought after Hawks Landing this home boasts 14ft ceilings, marble, wood and carpet floors thru out. The floor plan is perfectly balanced with 5 bedrooms downstairs including master bedroom and 1 VIP jr suite upstairs totaling 6 bedrooms and 6.5 bathrooms. Luxurious master suite with beautiful lake views, sitting area, oversized spa style bath, private water closet with bidet and custom his/her closets. Freshly painted inside and outside, 3 car garage, circular driveway, private landscaped pool with a covered outside area perfect for entertaining. Please see video for the $15M dollar club house with state of the art work out facility, tennis courts, meeting rooms, oversized pool and more. This home has been beautifully maintained and is move in ready. Beautiful 5 Bedroom 5 bath 3 car garage home with private Loft and wet bar in the Master Bedroom. Jacuzzi and walk in shower with garden view and skylight in Master Bath. Custom walk-in closets. Japanese stylized dining room. Long driveway with ample parking. Great for entertaining! 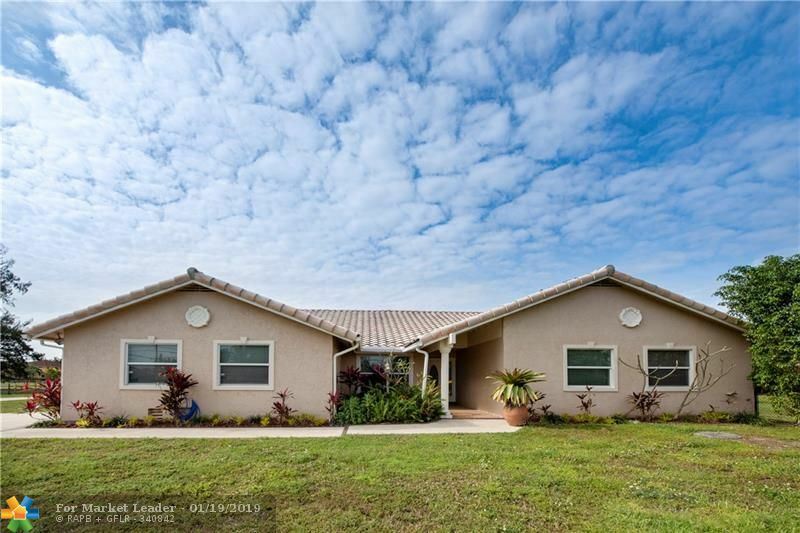 Home Features a pool on the water, lots of land, special security doors, locks intercom and central vac all on Private no outlet street just walking distance from Sawgrass mills mall shopping, entertainment, and nightlife. RARE OPPORTUNITY ON HARRIER STREET -IMMACULATELY MAINTAINED AND MOVE IN READY- 5 BEDROOMS ALL WITH EN-SUITE BATHS, PLUS LIBRARY - OVER 4000 SQ FT AC -UPDATED KITCHEN W QUARTZ COUNTER-TOPS AND STAINLESS STEEL APPLIANCES - 24X24 POLISHED MARBLE FLOORS IN ALL MAIN LIVING AREAS AND MASTER SUITE- RICH WOOD FLOORS IN LIBRARY W CUSTOM BUILT IN BOOKCASES - FIREPLACE - GRAND MASTER SUITE W FABULOUS UPGRADED MARBLE BATH PLUS DRESSING AREA AND HUGE WALK IN CUSTOM CLOSETS - HUNTER DOUGLAS REMOTE CONTROLLED SHADES AND PLANTATION SHUTTERS - IMPACT GLASS & ACCORDIAN SHUTTERS - WHOLE HOUSE GENERATOR W TWO 500 GALLON BURIED GAS TANKS -CIRCULAR DRIVEWAY - TOO MANY DETAILS TO LIST! BRING YOUR FUSSIEST BUYERS TO SEE THIS ONE OF KIND BEAUTY! COME LIVE THE HAWKS LANDING LIFE AT THE CLUB & SPA & SO MUCH MORE! LOOK NO FURTHER! 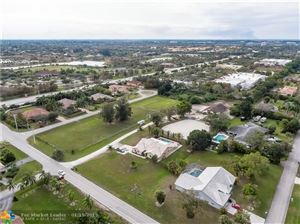 THIS 5000 SQ FT AC CUSTOM ESTATE HOME IS PRICED FOR IMMEDIATE SALE*PRIME INNER LOOP WATERFRONT LOT LOCATED QUIET CUL DE SAC*OVER 1/2 ACRE LUSHLY LANDSCAPED GROUNDS WITH PLENTY OF ROOM FOR KIDS AND PETS*5 LARGE BEDROOMS, 5 1/2 BATHS WITH WALK IN CLOSETS*SEPARATE OFFICE PLUS MEDIA ROOM W 8 CHAIRS*AN OUTDOOR ENTERTAINER'S DREAM W HUGE RECENTLY REMODELED POOL, MARBLE PATIO PLUS TIKI HUT W SUMMER KITCHEN*UPDATED CHEF'S KITCHEN W PROFESSIONAL THERMADOR STAINLESS STEEL APPLIANCES INCLUDING PROFESSIONAL 6 BURNER GAS RANGE*CHISELED EDGE MARBLE FLOORS IN MAIN LIVING AREAS*UPGRADED PORCELAIN WOOD-LIKE TILES IN ALL BEDROOMS*WIDE OPEN FLOOR PLAN*HUGE LAUNDRY ROOM W TONS OF STORAGE*FRESHLY PAINTED INTERIOR & EXTERIOR*3 CAR GARAGE PLUS HUGE CIRCULAR DRIVEWAY!